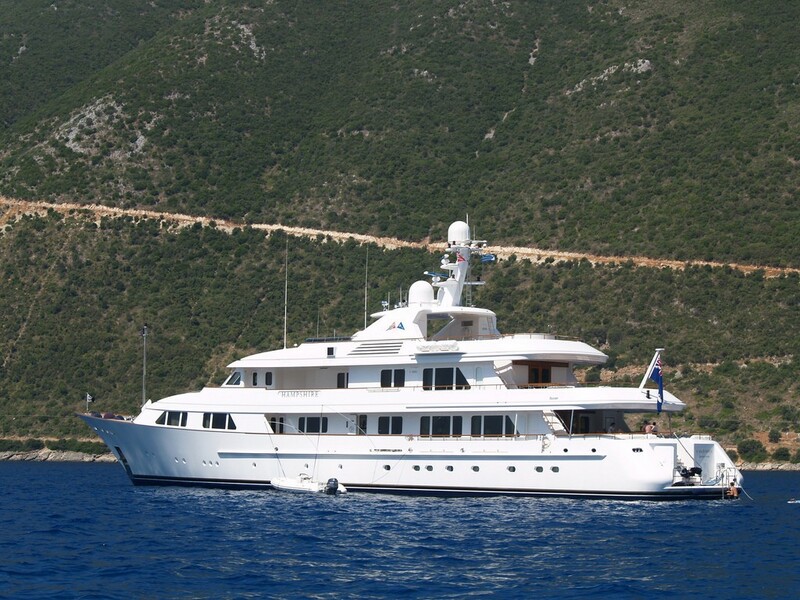 Motor Yacht HAMPSHIRE (ex BARBARA JEAN) is a beautiful Dutch built De Voogt Feadship luxury yacht. 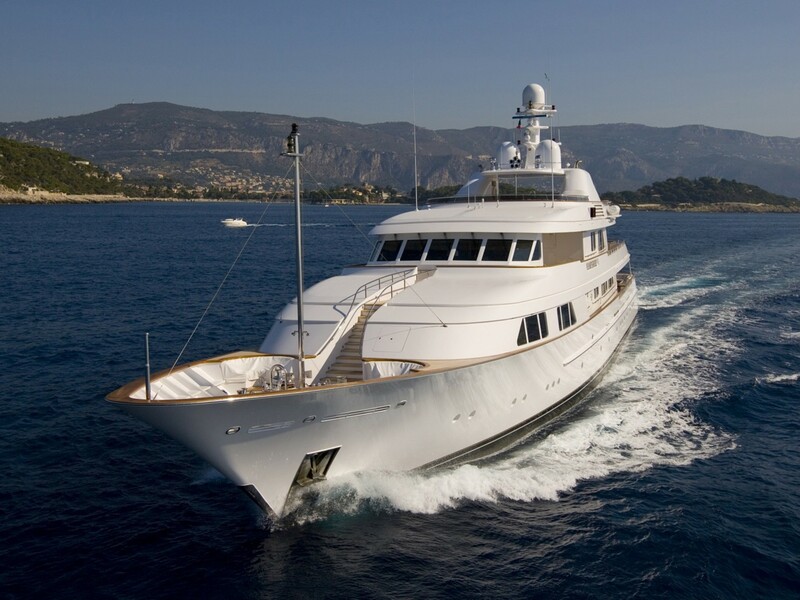 She was originally commissioned by a yachtsman who was interested in design improvements and quality of detailing and further upgrades have been undertaken since then. 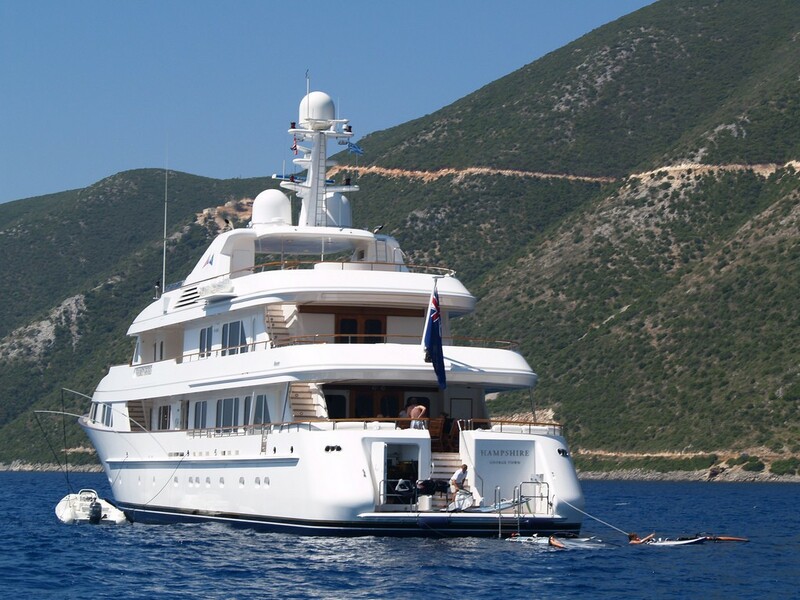 Yacht HAMPSHIRE is a magnificent vessel which very much represents build quality in a superyacht. 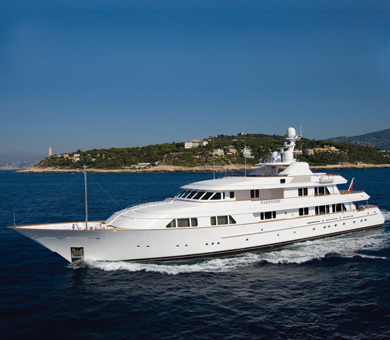 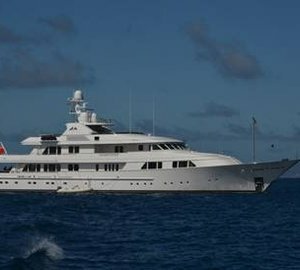 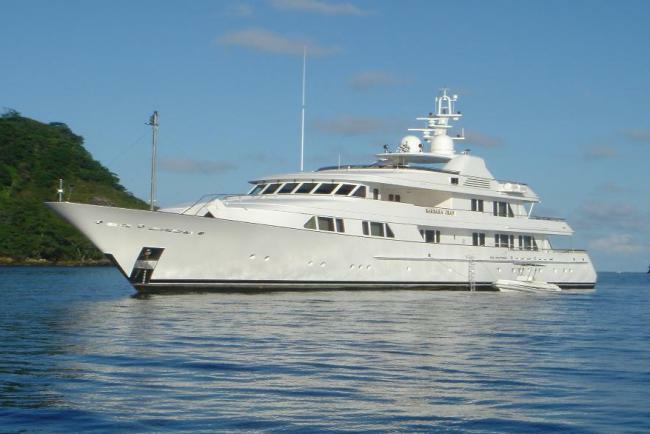 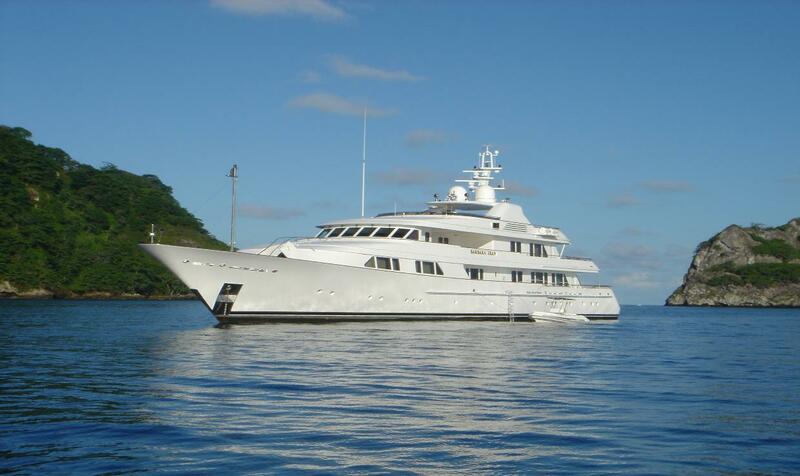 Superyacht HAMPSHIRE enjoyed a comprehensive refit and upgrade in 2007. 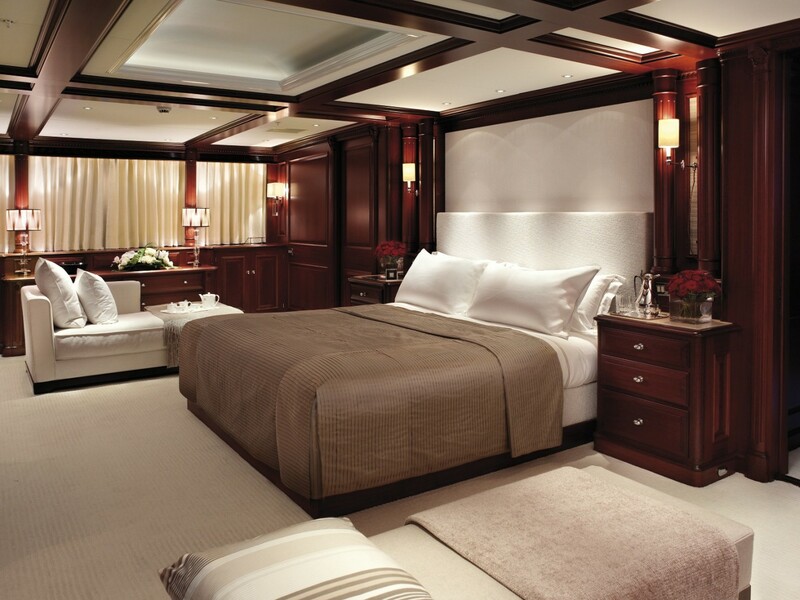 She features inspiring traditional styled exterior lines and interior design and craftsmanship. 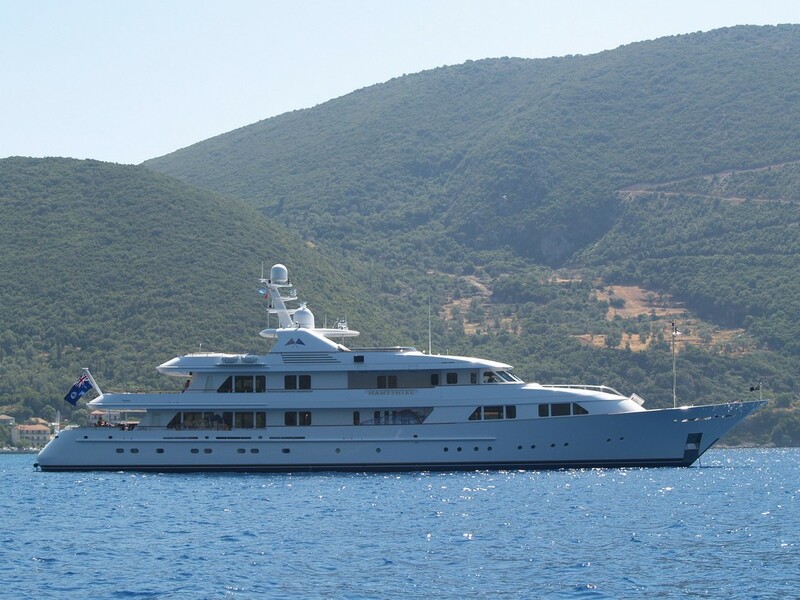 HAMPSHIRE provides good use of space in her design, and as such has a larger wheelhouse than usual, as well as a very well sized full beam master/owner's suite, which sits forward on the motor yacht's main deck. 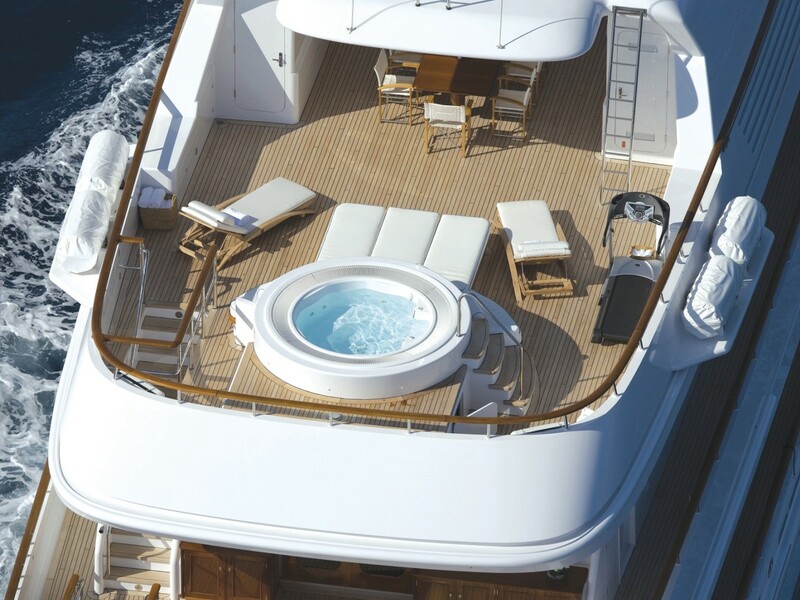 Her sun deck is also large and features three connected, but almost separate, areas including the aft Spa Pool and sunbathing area, the mid deck alfresco dining area and lastly another sunbathing area to forward. 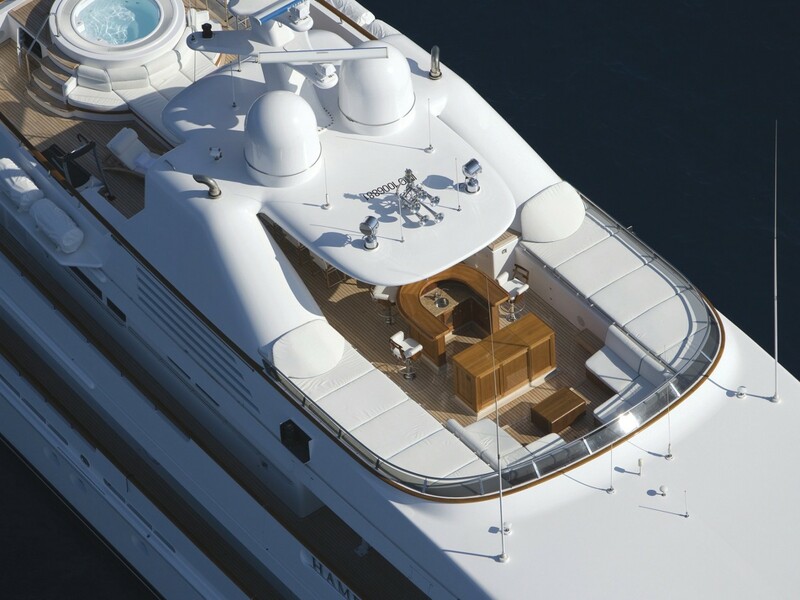 Below, the aft deck is not shaded by superstructure but features a clever slide out panel used to provide shade if required. 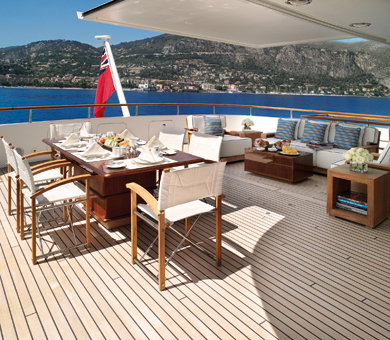 The interior design by Redman Whitely Dixon and Feadship craftsmanship of M/Y HAMPSHIRE has a traditional English, yet contemporary, feel. 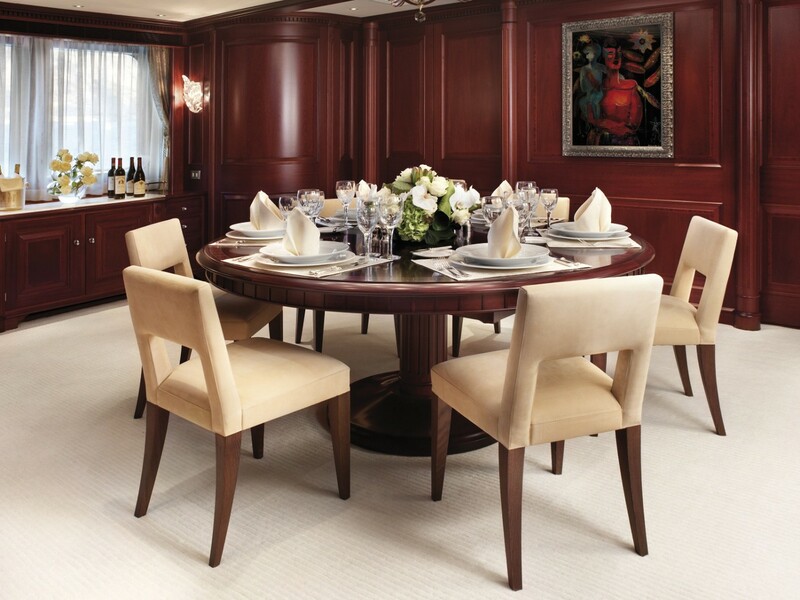 Burr madrona and sycamore wood outline every panel, adding depth and richness to the natural mahogany. 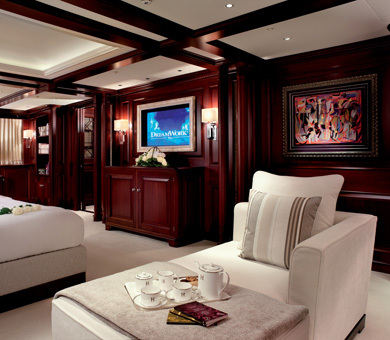 The blend is then lifted with white linen sofas, eclectic artifacts, bold paintings, intricate shell carvings and bright fabrics. 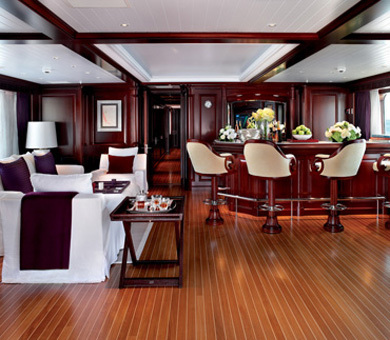 Together with the master, there are an additional four guest cabins arranged off a central circular lobby on her lower deck as connected to the main deck via a very generous staircase. 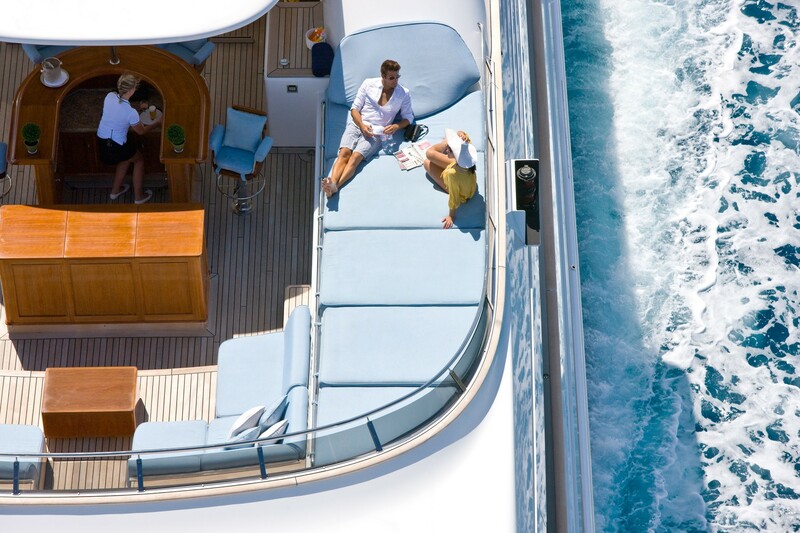 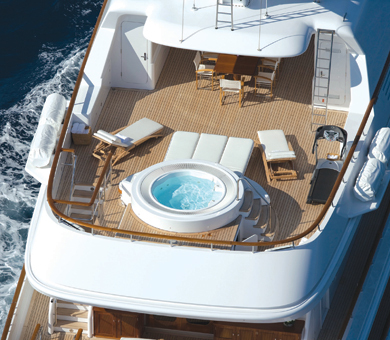 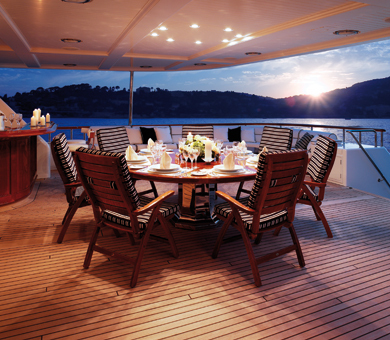 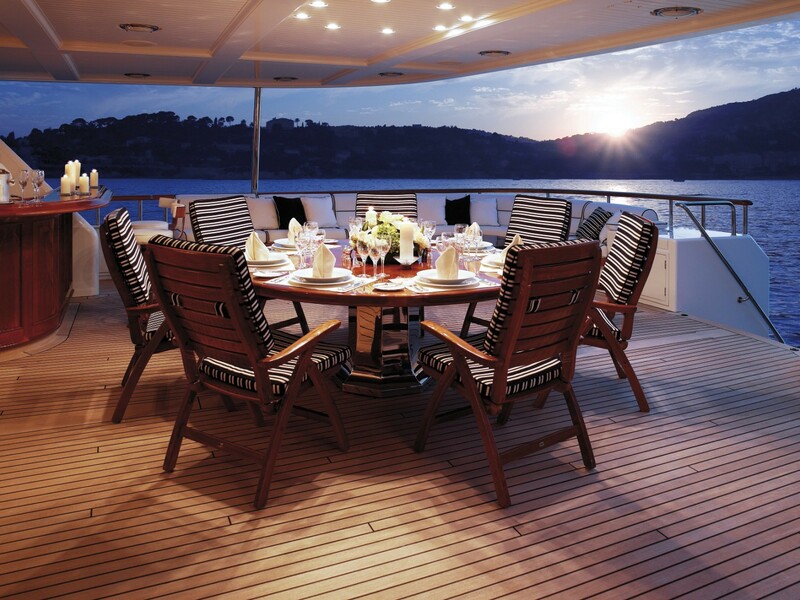 As there are only four cabins, each one is large than usual giving much desired space to the yacht’s guests. 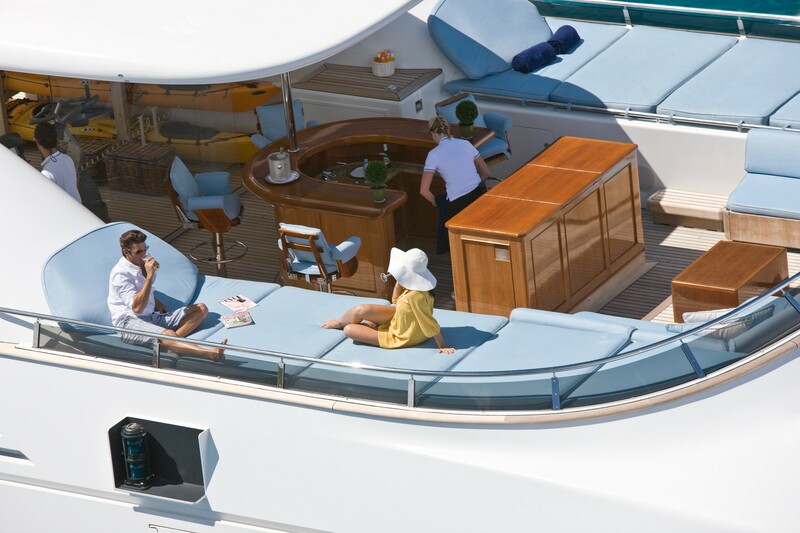 In addition, just off the same lobby area is a further utility room which can serve as an office or day cabin, as well as a gym or indeed can give extra guest accommodation. 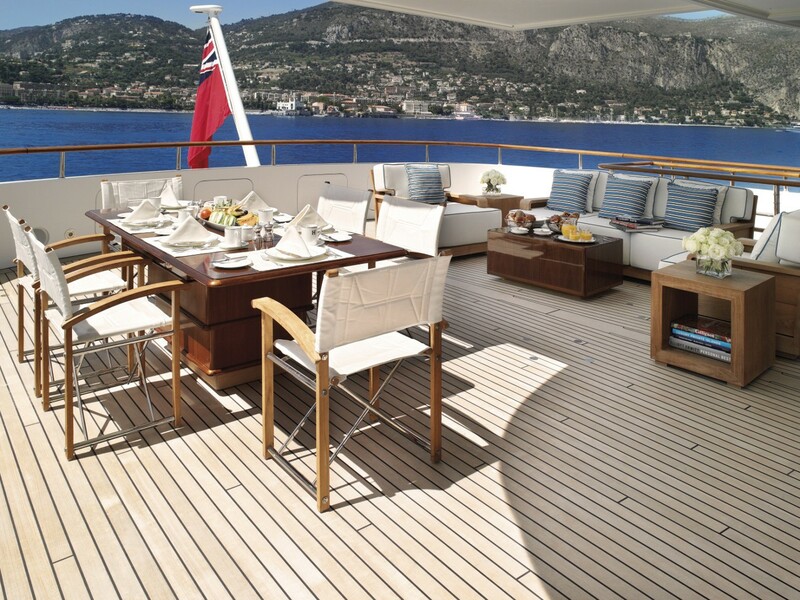 Yacht HAMPSHIRE has a maximum number of 6 cabins available, accommodating 12 guests. 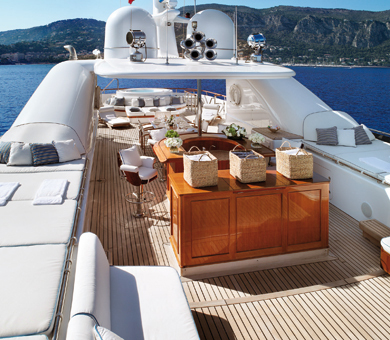 Her Spectacular Owner's cabin sits forward on the main deck and is full beam with a centerline bed. 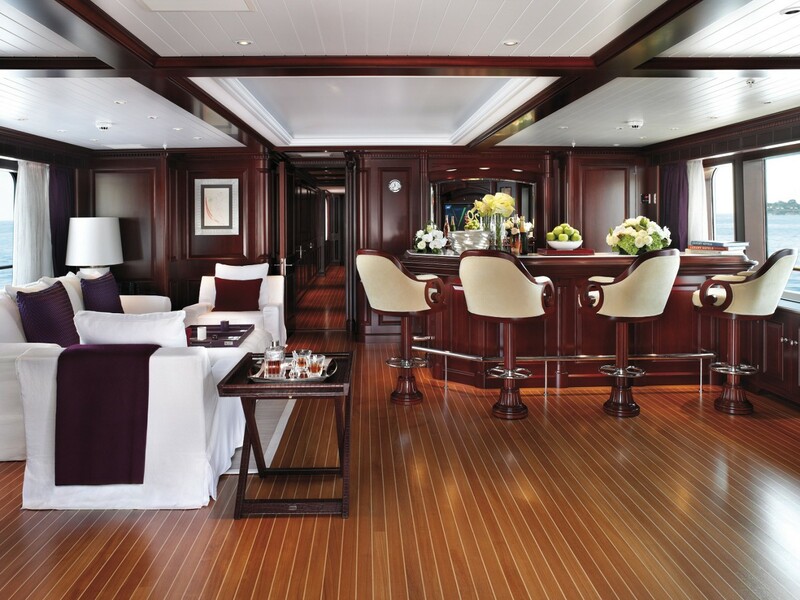 A separate lobby area is positioned to starboard, drawer storage to port and starboard and 'his and hers' bathrooms forward, each with a separate shower and separate toilet room and 'hers' with bidet. 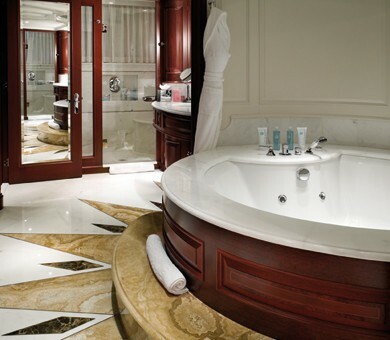 Both bathrooms share a Spa Pool tub and separate wardrobes and sit down vanity tables are outboard in both bathroom/wardrobe areas. 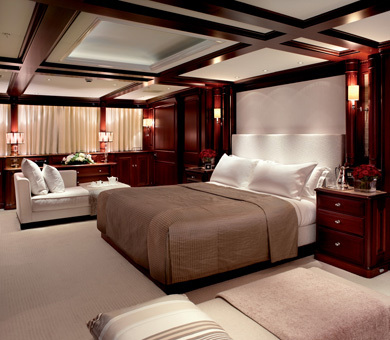 There are four guest cabins. 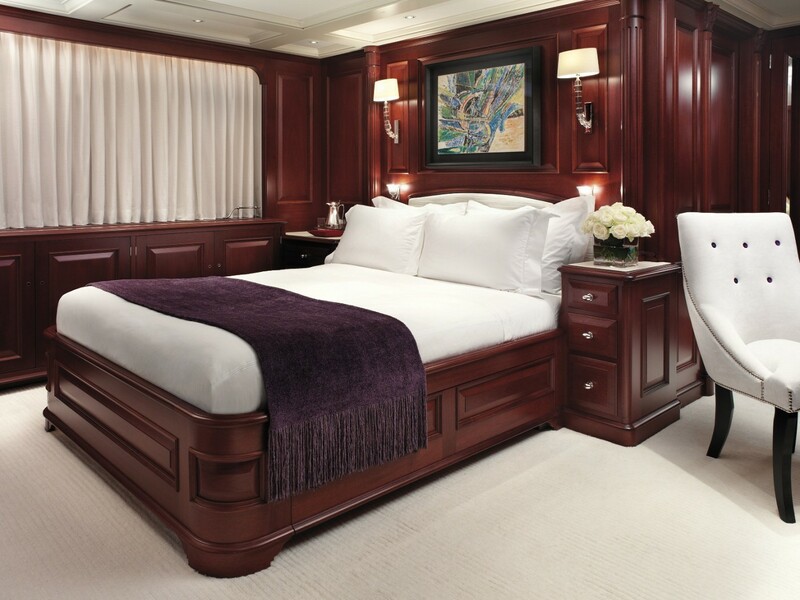 The two forward guest cabins have queen sized beds and bathtub en-suites. 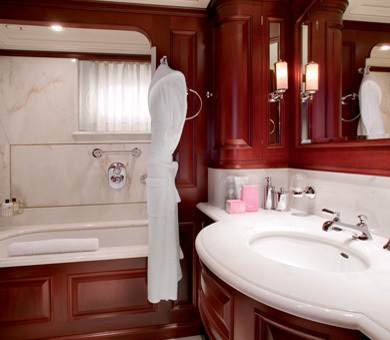 The two aft guest cabins have twin beds and bathrooms with bathtubs en-suite. 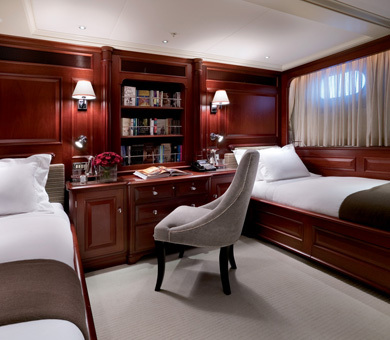 All of the guest staterooms have excellent storage and abundant desk and working space areas. 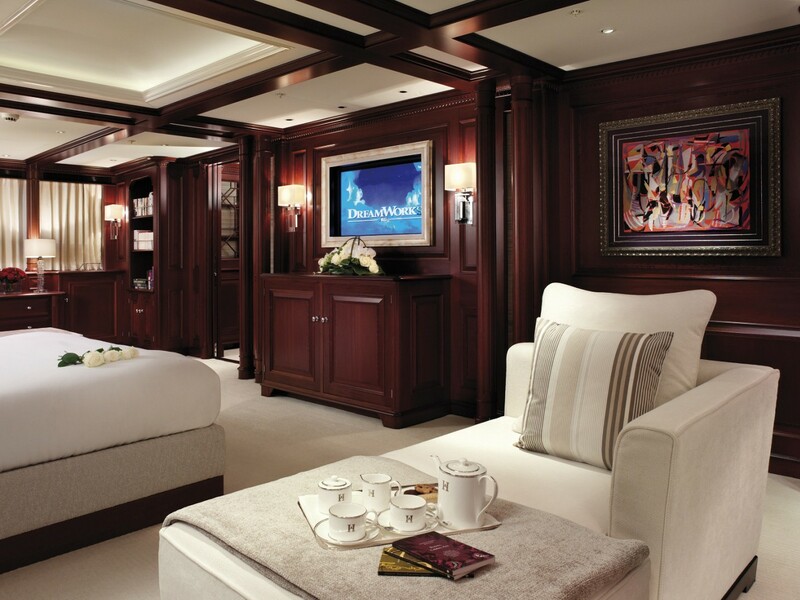 There is also a double child’s, staff or nanny cabin with lower berth and Pullman upper berth. 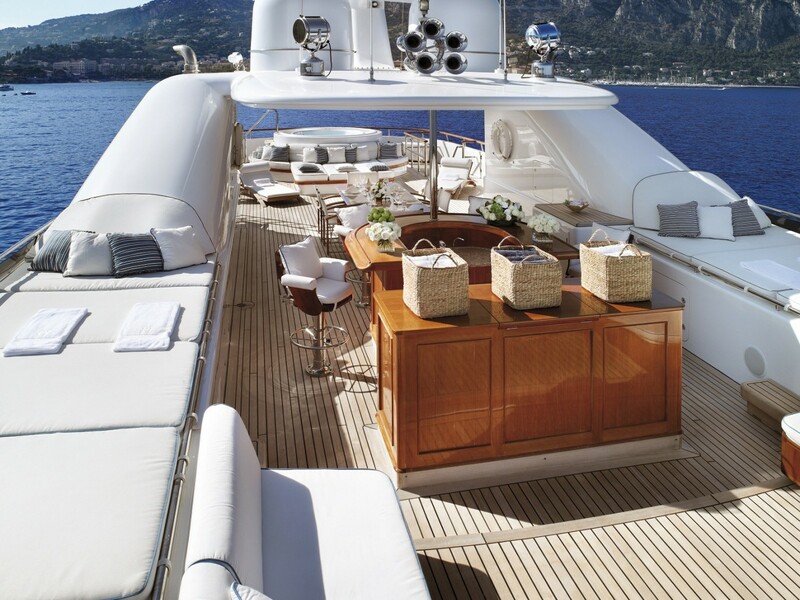 This also has a desk and adequate storage.